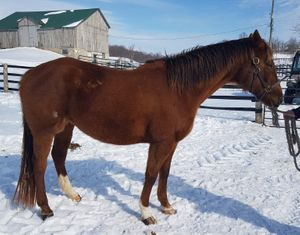 Along with the horses listed below, we frequently have OTTB's for sale on farm in Colborne, or can connect you with trainers looking to rehome retired racehorses. 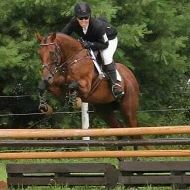 Please contact us if you are looking for your next OTTB partner! 2016 16.1+ colt. Unraced as he showed no aptitude. Currently only one testicle descended, also needs a hock chip removed. Very stocky, well built. Put some money into this guy and you will have a very nice horse on your hands! Not studdy, loveable personality, lives out, good feet. 2009 TB mare, 15.2. 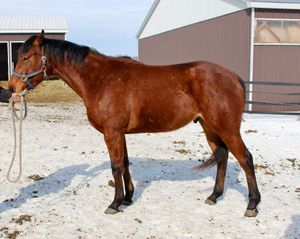 Proven broodmare x4. Could continue as a broodmare or be a light riding/trail horse. Lives out, lovely personality.